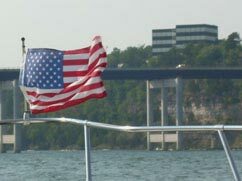 Welch & Hawk Estate Planning Center offices are located in on the third floor of the Cliffside Centre building, 2140 Bagnell Dam Blvd, Suite 301, Lake Ozark, Missouri. Welch & Hawk Estate Planning Center of Lake Ozark extends their services to Osage Beach, and the surrounding Lake Ozark cities and towns. They provide highly customized living trusts, wills, living wills, general durable powers of attorney, health care powers of attorney, irrevocable trusts, design and creation of business entities (FLPs, LLCs, and corporations), business succession planning (including Buy-Sell agreements), asset protection planning, charitable trusts, will and trust administration, as well as individually designed asset protection tools for physicians, business owners and individuals.